The air bag is a common safety feature in most automobiles on the road today. The bag itself is neatly packed inside the interior of the car, and then when you need it most it expands to save the day. Center-Slit Gusseted Tubing from Rutan acts in the same manner. During storage and handling, the gusseted bags remain compact and easy to handle. 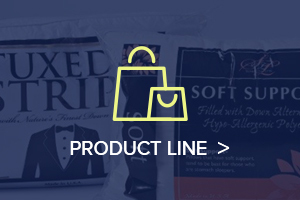 When it is time to package up your product, the bags expand to accommodate larger items or those with cumbersome shapes. The secret is the gusseted center slit which expands beyond the lay flat design. In the same way that an accordion expands and fills with air, the slit down the center of gusseted tubing opens up to give each bag a much wider range. When gusseted bags are transformed from their lay flat design, the mouth opens up with a circular shape and the gussets give way to make room for the content. Center slit gusseted tubing has a triangle shaped pleat on both sides of the bag. Regardless of the size or shape of bag contents, gusseted bags can be created for nearly any item, even contents that are bulky, big or square. 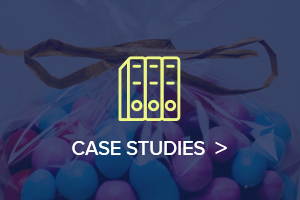 Rutan has years of experiencing creating custom-made bags to our client’s size specifications. We also work with you to determine the best choice of high-quality material and printing options depending on what contents are going inside your poly bags. 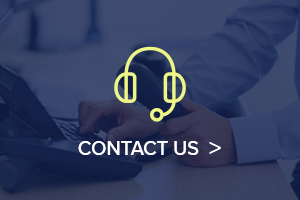 No matter what item you are looking to package, we can work with you to find the optimal solution for you and your budget considerations. 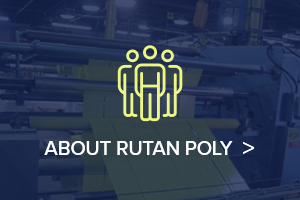 Rutan Poly has been creating custom flexible packaging and films for over fifty years. We have gained a solid reputation for being a reliable American manufacturer and supplier of high quality bags and films for commercial and industrial use. Center Slit Gusseted films are just one of the many options available to you. Let us know about your requirements and we will provide packaging materials and bundling wrap specifically designed for your application.